Family Dentistry We are a place for the whole family. At our office we see patients from age one to over 101. Cosmetic Dentistry In this day and age many patients are more concerned with the appearance of their smile than ever before. General Dentistry We offer a wide range of treatment options and dental services at our office. We are able to provide most dental services necessary at every age. The first appointment for a young child is generally a time for the child to be introduced to the dental office, atmosphere, and team members. We do our best to make your child feel as comfortable and happy as possible in our office. We strive to make each visit for every patient, no matter what age, a positive experience. As you might have guessed from a father-daughter team, family is very important to us. 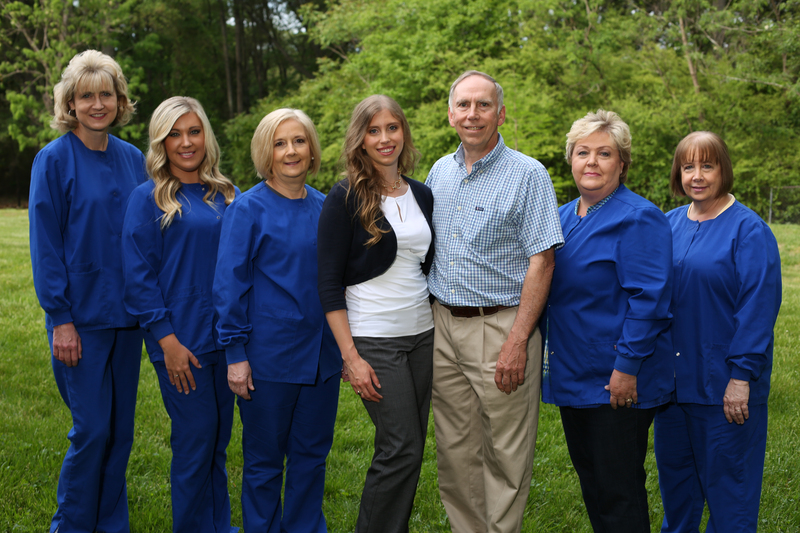 We would love for you and your family to become a part of ours here at Main Street Dental. We are happy to offer a variety of services to improve the appearance of your smile. We offer removable partials or dentures, fixed porcelain bridgework, and implant planning and restoration to replace one to all of a patient's teeth. We also offer porcelain crowns and veneers to improve minor misalignment of teeth, improve tooth shape or size, and correct permanent discolorations. Lastly, we offer tray whitening systems to improve surface staining of teeth. We are able to provide everything from cleanings, fillings, and denture relines to fixed crown and bridge work, new dentures or partials, and implant planning and restoration. We are happy to work with patients who just need a dental checkup or may only have a problem with one tooth. We are also able to work with patients who may need a full mouth reconstruction. Most of the time there are several options available to restore a patient to health, comfort, function, and an esthetic smile. We are happy to present all of the options available to find the best fit for each individual patient.